Eight teams took a 3-1 series lead in their best-of-seven series in the 2018 Stanley Cup Playoffs, including 5 of 8 Preliminary round matchups. All won (Boston, Nashville, Pittsburgh, Tampa Bay , Vegas, Winnipeg, Washington). While a 3-1 lead is always a good thing, it's never a sure thing. Through 2018, teams have trailed 3-1 in a best-of-seven series 300 times. Only 28 times has the trailing team comeback to win the series. Put another way, the team with a 3-1 series lead wins 90% of the time with the down-and-nearly-out team recovering only 10% of the time. The chart below describes all 28 comebacks by year, team and round. In the 31 seasons since all playoff rounds were expanded to best-of-seven series in 1987, 26 teams have comeback from a 3-1 deficit to win their series. In the thirteen postseasons since the 2004 NHL Lockout, however, only eight teams (Washington 2009, Montreal 2010, Philadelphia 2010, Tampa Bay 2011, Chicago 2013, Los Angeles 2014, New York 2014, New York 2015) have turned the trick. Breaking it down by round, such comebacks have happened only once in the Stanley Cup Final (Toronto 1942) and Semifinal (New Jersey 2000), and seven times in the Quarterfinal (Detroit 1987, Washington 1988, Minnesota 2003, Philadelphia 2010, Chicago 2013, New York 2014, New York 2015), with the remaining 19 comebacks occurring during the Preliminary round. Of the 28 teams that completed the comeback, six (6/28 = 21%) won the Stanley Cup (Toronto 1942, Edmonton 1990, Pittsburgh 1992, New Jersey 2000, Chicago 2013, Los Angeles 2014) and three more made it to the Final but failed to hoist the hardware (Vancouver 1994, Philadelphia 2010, New York 2014). Only one team has ever recovered from a 3-1 deficit twice in the same playoff (Minnesota 2003). Similarly, only one team has ever comeback down 3-1 and blown a 3-1 lead in the same postseason (Vancouver 2003). The chart below lists all teams involved in such 3-1 series comebacks, showing the total number of series involving such circumstances and their overall win/loss record. 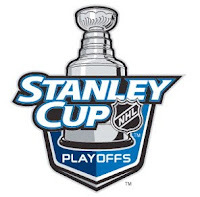 Only Anaheim, Buffalo, Carolina, Columbus, Dallas, Florida, Nashville, Ottawa and Winnipeg (formerly the Atlanta Thrashers) have never comeback from a 3-1 series deficit or blown a 3-1 series lead. Vancouver leads all teams in comebacks trailing a series 3-1 with three such series wins. Conversely, Washington has blown more 3-1 series leads than any other team, squandering five such series. It's worth noting that in the thirteen postseasons since the 2004 NHL Lockout, twelve teams have squandered a 3-1 series lead only to stave off elimination by winning Game 7. They are Carolina (2006), Vancouver (2007), Montreal (2008), Philadelphia (2008), Carolina (2009), Vancouver (2011), San Jose (2011), Boston (2013), Los Angeles (2014), St. Louis (2016), Pittsburgh (2017) and Boston (2018). Seven of these games were decided by one goal and five in overtime. In sum, with a 10% chance of recovery for teams trailing their series 3-1, it's statistically likely their season will soon end.